We’re serious about our buying standards. That’s why when we learned that 600,000 children in the Ivory Coast are forced to produce 40% of the world’s chocolate we decided to take a stand. 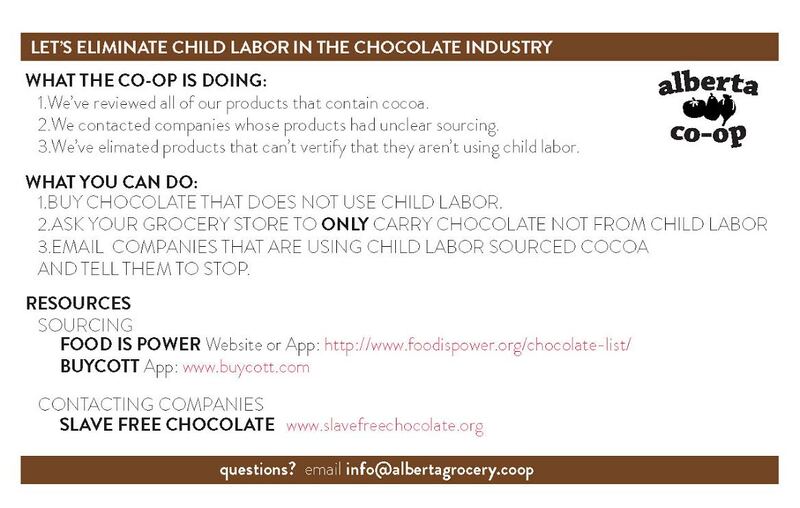 Last year our Buyers thoroughly researched all of our products containing chocolate and only kept those that we could verify were free of cocoa produced using child/slave labor. The store has been cleared of any chocolate whose sources could not be verified as being ethical. Much appreciation to our Buyers who took on the task of making phone calls and having the hard conversations with some of the companies. 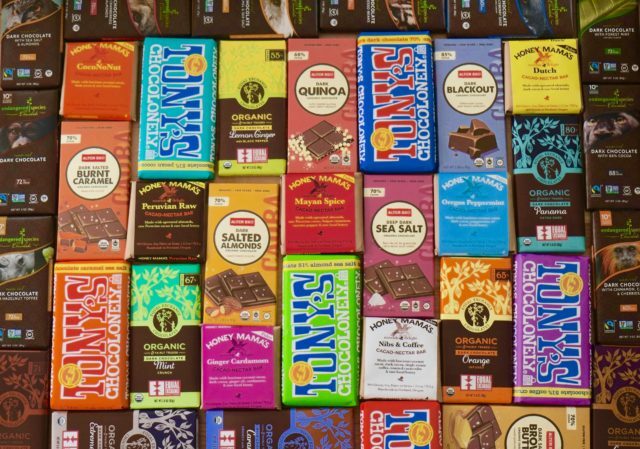 We are very excited to announce that MANY of our producers were already in alignment with ethical sourcing! 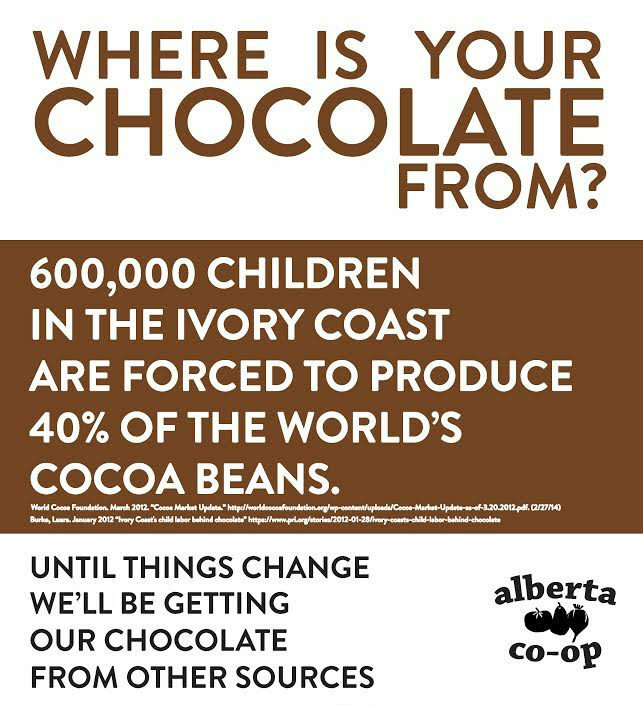 Any time you buy a product containing chocolate at the Alberta Co-op, you can do so knowing that we stand by their ethical practices.